At the beach in Southern Maine. Clarissa is a lifelong artist and maker, currently living and working in Philadelphia with her partner of 6 years and their cat, Lilith. Clarissa is drawn the natural world and uses her art as a tool of exploration and appreciation of its whimsy, mystery and grandeur. 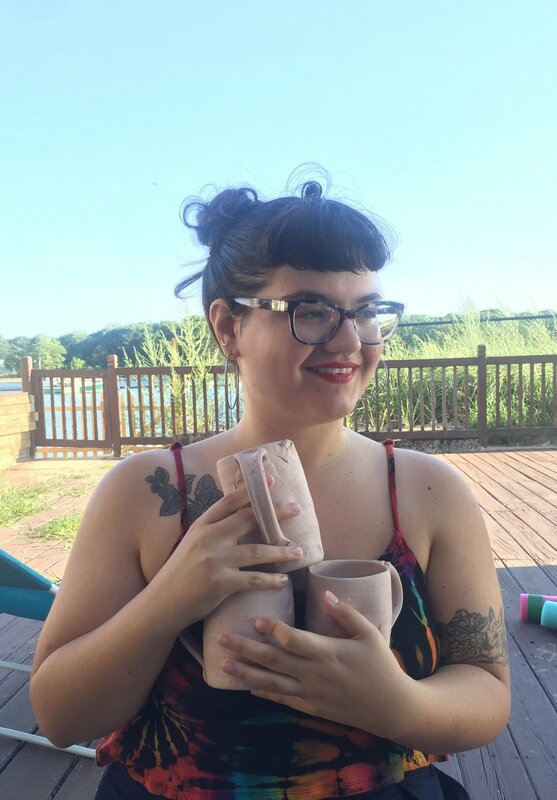 Clarissa studied illustration at Pratt Institute and fell in love with ceramics while interning at The Clay Studio in Philadelphia. She adores apple-picking, forest creatures, reading fantasy novels, camping, and baking crazy good vegan desserts. Clarissa also has a passion for alternative education and working with young people of all ages. Currently, Clarissa is a member of the Work Exchange Program at The Clay Studio, where she started her ceramic practice. She works out of their communal studio in the historic neighborhood of Old City.